The Acoustic CR® Neuromodulation treatment process begins with a fitting appointment which will usually take place around two weeks after your Initial Assessment. It is important to try to arrive as calm as possible, and if you are travelling from overseas, we prefer to see you the day after your flight. One of our audiologists will check your pitch match frequency which forms part of your personal acoustic tinnitus profile that was recorded at your Initial Assessment. We use these measurements to program the Desyncra for Tinnitus device with the CR® algorithm which calculates a unique tone sequence for your customised Neuromodulation treatment. We will then balance the loudness of each of your stimulation tones. The stimulation signal should be even and pleasant to the ear; no tone should stand out from the others. The signal is locked into your device and you are ready to start your treatment. The second phase of your tinnitus therapy is getting used to wearing your Desyncra for Tinnitus iPod device. It is supplied with a pair of special medical earphones which fit comfortably in the ear. Initially, you will use the device for four to six hours every day, although you may choose to split this into sessions of one hour at a time for example. The device provides you with circumstantial masking and control over your tinnitus right away as the brain is distracted by the pleasant tones which are set just slightly higher than your hearing threshold level. You can go about your daily life while using the device although activity such as driving or using machinery should not be attempted while actively stimulating. As your auditory cortex responds to the treatment your tinnitus sound will change. For example, the pitch of your tinnitus may become lower during your treatment. This experience can be quite pronounced, especially within the first 6 weeks of therapy. When this happens you should contact your audiologist and arrange an appointment to readjust your device tones as soon as possible. 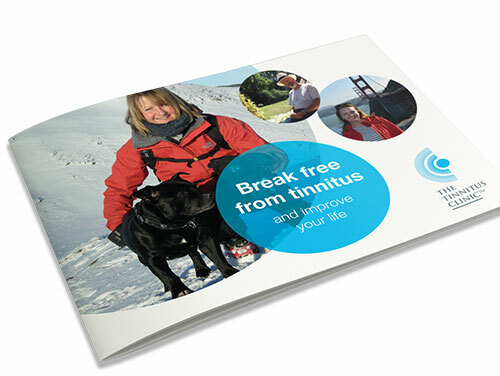 The treatment continues for around 6 – 9 months, and during this time you will need a number of follow-up appointments to optimise the device to your tinnitus pitch. As the treatment works, the benefits become sustainable when you are not using the device and it is normal for patients to start to reduce the time they use the device at around the 4 month point. We recommend that patients continue the treatment for as long as they feel it is of benefit but this will be discussed with your audiologist during your treatment. If you have further questions about the Acoustic CR® Neuromodulation treatment process, please take a look at our FAQs, case studies or contact The Tinnitus Clinic.